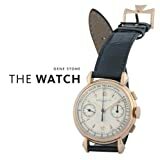 The Watch is a survey of the best vintage and contemporary men’s wristwatches that is as visually compelling as it is informative to read. A well-made man’s wristwatch combines inspired design, technical innovation, and precise craftsmanship. Vintage watches are filled with sentiment and history, and are often passed from wrist to wrist across generations. Today, designers use cutting-edge techniques and materials to create some of the most complex miniature machines ever attempted.